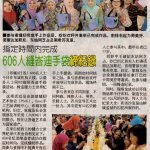 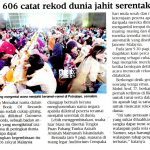 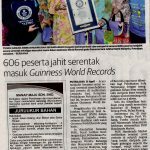 The records break are 606 peoples sewing simultaneously. 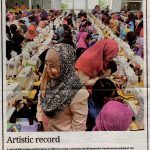 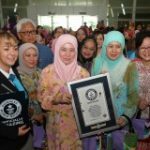 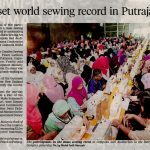 PUTRAJAYA: A total of 606 participants took part in a mass sewing event at Cempaka Sari Auditorium in the Putrajaya Corporation Complex, here and set a Guinness World Record in conjunction with the Malaysian Batik Sewing Art Exhibition. 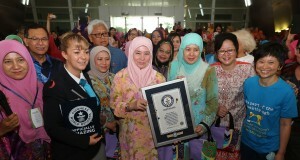 A representative of Guinness World Records from New Zealand was present to certify the record-setting attempt.